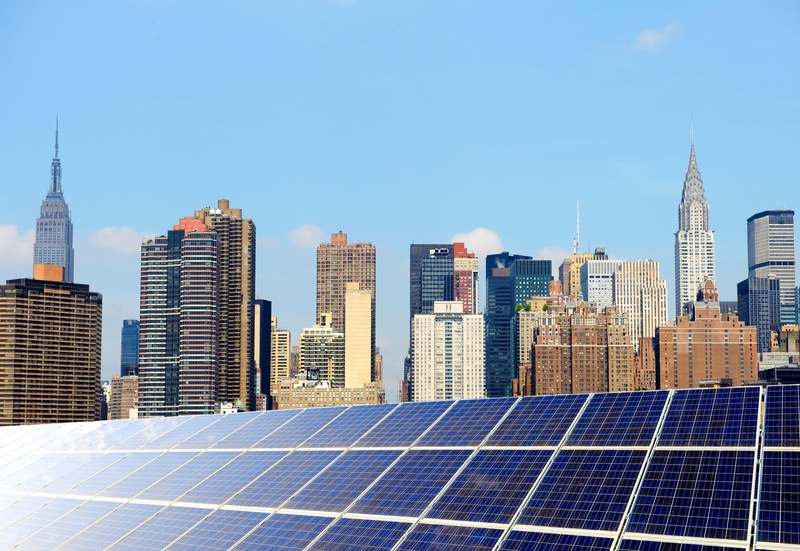 The New York City Council is considering a breakthrough bill to mandate installation of solar power systems on all municipal buildings. The Big Apple in many ways has already taken the initiative and adopted policies to promote cleaner air and combat the local greenhouse gas emissions that contribute to climate change. To this end, the de Blasio administration has articulated the goal of reducing greenhouse gas emissions by 80 percent by 2050. Merrill L. Kramer recently testified at a hearing on the bill where he applauded the Council’s initiative, but also discussed the private market challenges facing roof-top solar that may hinder the Mayor in achieving his carbon reduction goals. Particularly, Mr. Kramer identified delays and bottlenecks at the Department of Buildings (DOB) and New York City Fire Department (FDNY) for obtaining permit approvals, and the lack of a "one-stop shop" decision-making authority to identify problems and implement processes for streamlining permitting. Mr. Kramer highlighted the manual review process for solar permit applications as the single largest obstacle to deploying roof-top generation, causing delays for projects already on a tight timeline. The State of New York offers city residents a property tax abatement for the value of their panels, which expires at the end of the year.